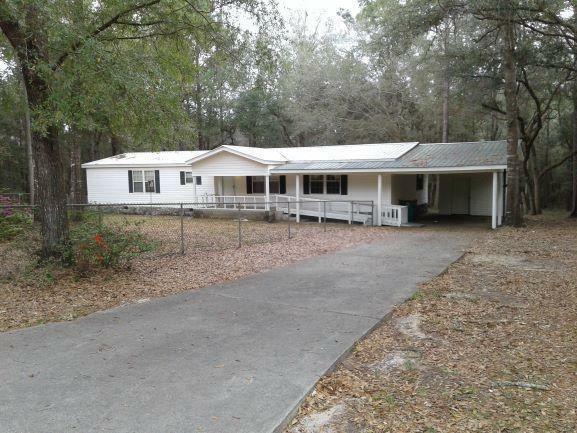 Over 2 acres of your quiet oasis! 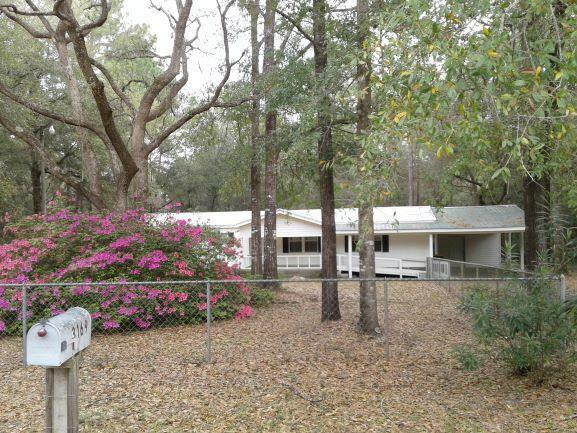 Charming and cozy, this welmobile home is located on a partially wooded lot situated on a quiet cul-de-sac. 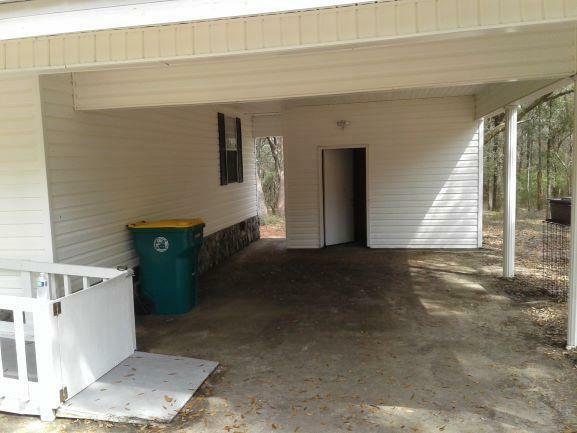 Open floor plan and cathedral ceilings make this home a diamond in the rough as a little TLC is needed. Built in buffet server in the kitchen area, kitchen island with cooktop, and a built in oven and desk make for a nice kitchen space. Kitchen cabinets are deluxe cherry with white pulls. The master bath is spacious with a large walk in shower and dual vanity sinks. Step out back and enjoy the sunrise and sunsets under the large beautiful wood deck, great for relaxing or having friends over. 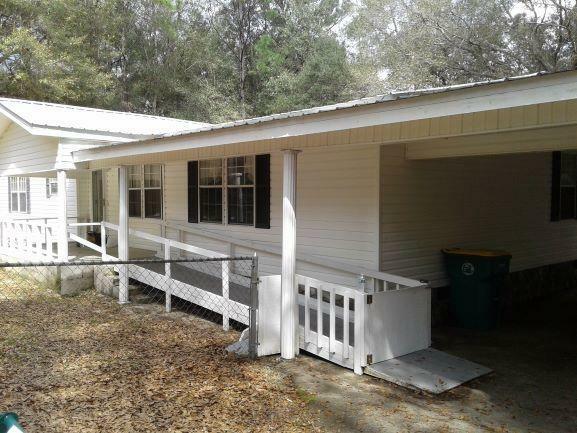 The front porch is handicap accessible with a ramp, even a small ramp for pets with lots of parking, outside security lights, and space to store boats or RVBuyer to verify all pertinent information including lot dimensions and square footage.